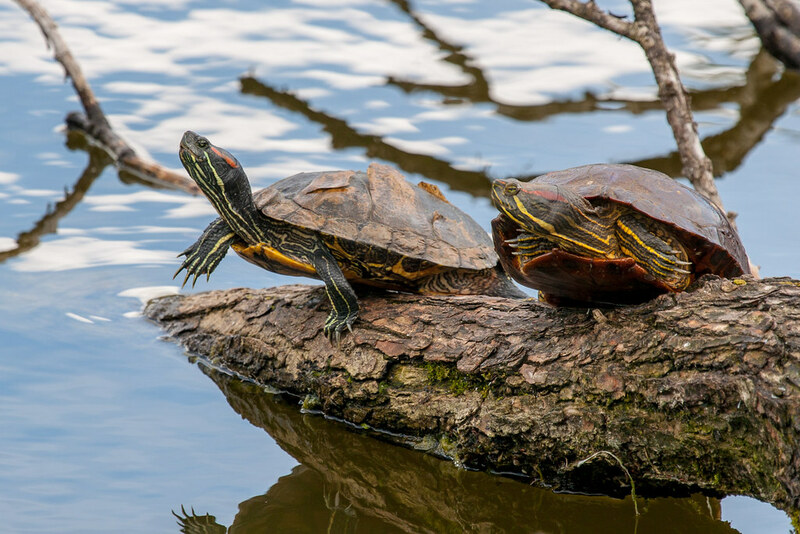 Little Bittern and Mutant Ninja Turtle at Stockers Lake – Neil Baldwin's blog : Warning contains walking, technology, photography, holidays. 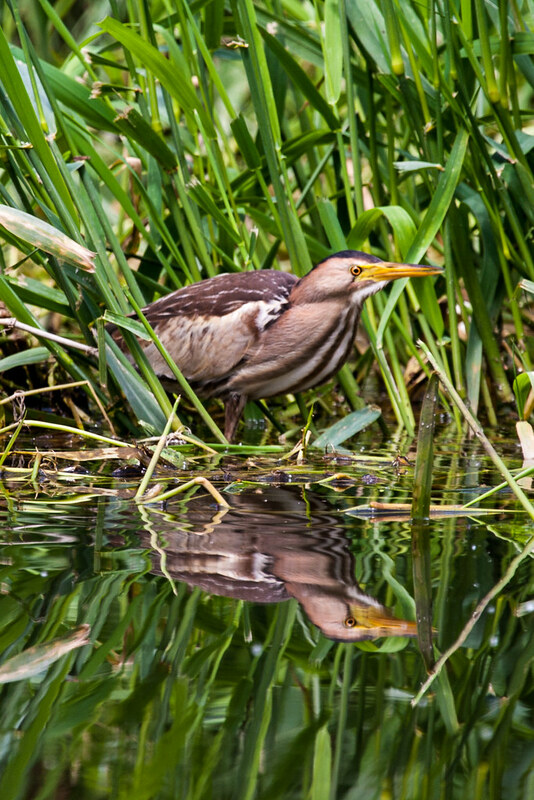 A Little Bittern has been reported at Stockers Lake near Rickmansworth since last weekend. Reports suggest quite easy to see, so I thought I would pop down there see if I could get a view. I have never seen a Little Bittern, so I don’t know what to expect, probably a bittern looking bird but smaller than the run of the mill Minsmere type Bittern. I got off the M25 at junction 17 and parked up down a lane called Springwell Lane where there is a car park. Birdguides had reports and I get the OS grid ref from there and printed out a map from Bing. I orientated my self using the map in the car park, helped by a couple who pointed me in the direction of a crowd of twitchers. 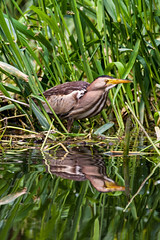 Little Bittern at Stockers lake near Rickmansworth. 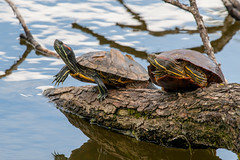 On the way I spotted two Turtles sun bathing on a log by the edge of the water, they were close enough for the Canon 100-400mm. I took a few shots then moved on round the lake. It was obvious where the bird was as there was about 30 people standing around the footpath getting the way of the Sunday morning joggers. It was apparently about 30m away hiding in the reeds and stinging nettles. I stood around with them and waited for a view. After about 30 minutes we got some fleeting views as it walked behind the reeds, then about 10 minutes later it popped up about 10m down stream, we all moved and I lost my front row, and was relegated to the back, I was still able to get a look it was out in front of the reeds. It is as the name suggests a small version of a Bittern. In fact I would say a quarter to a third the size of a Minsmere Bittern. 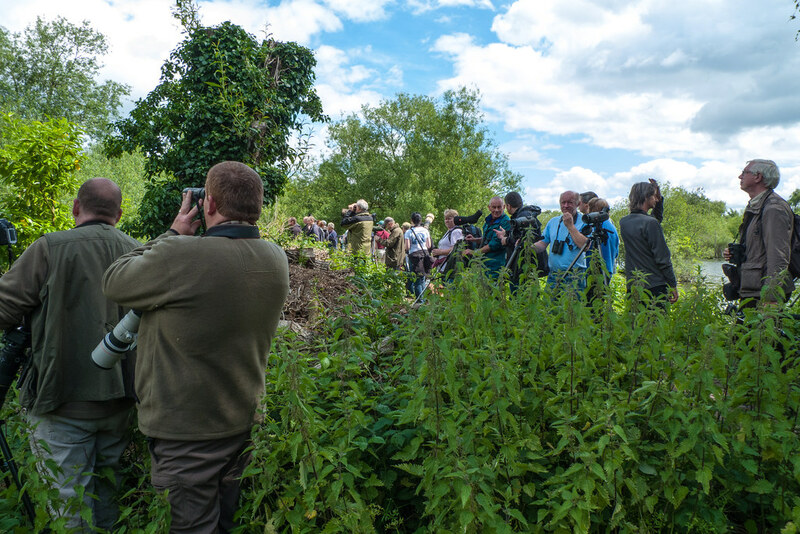 All the cameras were clicking away, then the bird was spooked and moved further up stream. I walked down with some others and was lucky to get a spot right down on the bank of the river perhaps only 20m from the bird. I got some shots then sat down to get some even better ones, from a low angle. My Karrimat material insulating mat came in very hand as I sat there with cracking views, and got a load of shots off in good light. Eventually it flew a bit further down the river. I called it a day at 11:49 and headed back to the car, then back home, to the hum drumb of domestic chores I trimmed the Laurel hedge in the back garden, and cut the lawn.